One of our favorite things about RaceRaves is the breadth of thoughtful voices on the site from runners across the U.S. and around the world. This month, we’re thrilled to introduce you to one of those voices. Bette Hagerty is a fellow Southern Californian and running renaissance woman. Boasting a career that spans three decades, Bette has completed hundreds of races while watching the sport she loves evolve and grow in amazing ways. As the founder of two running clubs and a Road Runners Club of America (RRCA) Certified Coach, she’s also channeled her passion into inspiring the next generation of runners. And when she’s not running, she spends her time wishing she were. Which is why she’s the perfect choice for our first monthly column here on the blog, where she’ll share her musings, triumphs, frustrations and observations on… well, whatever she wants. It’s her column, after all. And we think you’ll enjoy it. Want to receive Bette’s monthly column in your Inbox? Be sure to subscribe to our newsletter or sign up as a RaceRaves member (it’s free)! I love the way it makes me feel a little different, that I can spend one, two, three hours lost in reverie and listening to music or birds and no one wants to know what I am doing or thinking; the overwhelming joy of cresting a hill and getting to run down it (and I raise my arms in the air for a few seconds with glee — ignoring sideways glances from run pals); the strength I feel when I run uphill, the secret I’ve learned over the years to run on my toes just a tiny bit up those hard hills; the evenings when the sun is setting in the west and I turn around to head home and the full moon is rising in the east, making me wonder if they are in a competition for most photogenic; the breeze on my face when I am going in that direction (more arm raising! ); the excuse running gives me to download more music. All of that has won me over. The stories I write and ideas I get while running are the best I can do, and I wish I could remember more when I am taking my shoes off and I love that I am sweaty and so out of breath when I run up our street (another hard hill!) that I can’t talk just yet so there is a buffer between running and the real world happening inside the door. I’ll run happily 13 or 20 or 26 miles, but never again through pain… the memory of recent injury is too heartbreaking, and I’d rather be able to run one mile a day for the rest of my life than to stop running because I ran too much. I don’t want to use it all up. I think of running as my best girlfriend who waits for me no matter how long I take and listens to me whine about aches and cheers me when I do well. She helps me feel like a strong woman and a little bit of the athlete I never was. She listens to complaints about my work problems and usually helps me figure it all out. She understands when I need to go slow and she pushes me when I want to go fast. My BFF does not take me for granted nor I her, and I cherish every moment we have together. I’m grateful to RaceRaves for giving me this forum to share run-on sentences about my unabashed love and occasional frustration with living a runner’s life. I am grateful for my ability to run and write. I look forward to sharing more of it and to your feedback. Bette Hagerty decided to run a 5K in 1992 after a few months of running around her neighborhood, using her car’s odometer to measure distances. When she found herself among a few hundred people talking about running, she knew she had found her community. Since then she has run several hundred races, from 5K to marathon distance and helped form two running groups. Bette is an RRCA Certified Running Coach and posts weekly Tuesday workouts on instagram as @BetteRunning. Her passions for running and writing have finally run into each other, and she looks forward to sharing her experiences and knowledge. She welcomes your glowing compliments at [email protected]. Find this article informative? 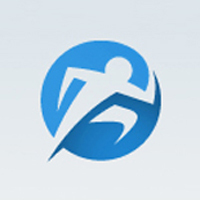 Please share it, and let others know RaceRaves is the premier online resource to DISCOVER, REVIEW & TRACK all their races and to CONNECT with other runners! Great stuff!!! I’m so glad to see you get to write about something you love. We should all be so lucky. Keep em’ coming!